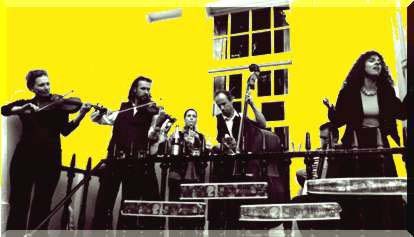 Comprising accordion, singer, two violins, two clarinets, viola and double bass, this band plays music from all over Eastern Europe and the Balkans, including music from the Klezmer tradition. The band has its origins in the Czechoslovak music and dance tradition brought to England in the 1950s by Hedda Springerova. The dance group she founded is now called Beskydy Dancers – the name Beskydy refers to the Beskydy mountain range, which runs through the three main regions of former Czechoslovakia, Bohemia, Moravia and Slovakia. 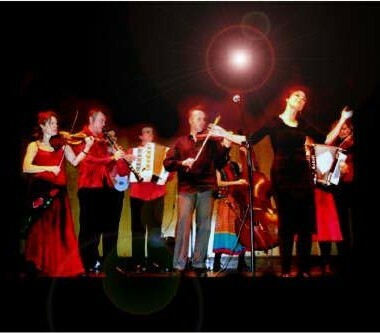 The band Beskydy formed initially around this dance group, and still performs with them at folk festivals and other events throughout southern England and occasionally further afield. 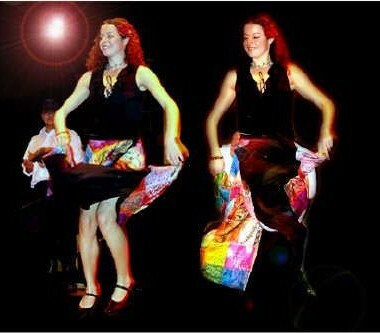 In 1995 the band extended its membership and repertoire, and started to develop independently of the dance group. 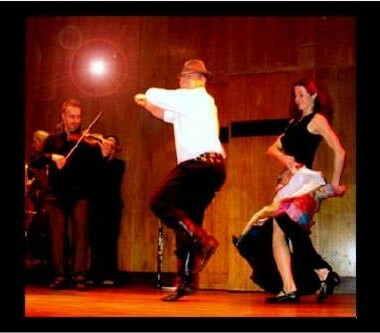 The band now comprises accordion, singer, two violins, two clarinets, viola and double bass, and plays music from all over Eastern Europe and the Balkans, including music from the Jewish Klezmer tradition. ~ Hackney Empire and The Place Theatre in London, in a choreographed performance with a contemporary dance group. ~ Bloomsbury Theatre, London as part of a fundraising gala night in aid of victims of the 1997 floods in Central and Eastern Europe. ~ Budweiser Budwar London promotion. ~ Biennial folk festival in Roznov pod Radhostem in the Czech Republic – 1995, 1997 and 1999. ~ Annual folk festivals around London and southern England: Stoke Newington, Walthamstow, Kew, Rochester, Milton Keynes, Islington Folk Club. ~ The Czech and Slovak National Club and the Czech and Slovak Embassies. ~ Clubs, pubs and charity events throughout London. ~ Private parties, weddings, etc.